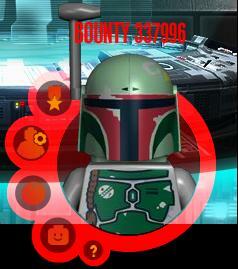 Now on the LucasArts game site for Lego Star Wars III, you can play as Boba Fett! Granted, there’s not much you can do yet, but it’s worth a few minutes of fun. Just head on over to the site here, and hit enter to unlock Boba Fett. The secret code word is: SARLACCFOOD. Enjoy! Ever wanted to shoot Yoda in the face? Not even once? 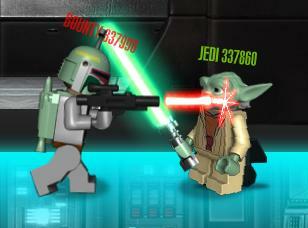 Lego Star Wars III: The Clone Wars hits stores March 22nd. This month Chicago will be having a Comic and Entertainment Expo from March 18-20th. It will be held at the West Building at McCormick Place. According to starwars.com, the 501st Legion will be in attendance for the opening ceremony, LucasArts will be in the gaming hall showing off their games, Del Rey will have a book panel with authors Paul S. Kemp and John Jackson Miller, Dark Horse comics will also have a panel to celebrate their 20th Anniversary, Katie Cook will have a Drawing Star Wars booth, and there will be several events with the Windy City Jedi demonstrating lightsaber fighting. But Star Wars certainly won’t be the only thing at the expo, you can find out more at their official site c2e2.com. Ticket prices range from $20-60 depending on if you buy early and which days you want to go. Update: Dark Horse has released further details on their booth, including a map to their location and a schedule. You can check out the Dark Horse Blog for all the details.